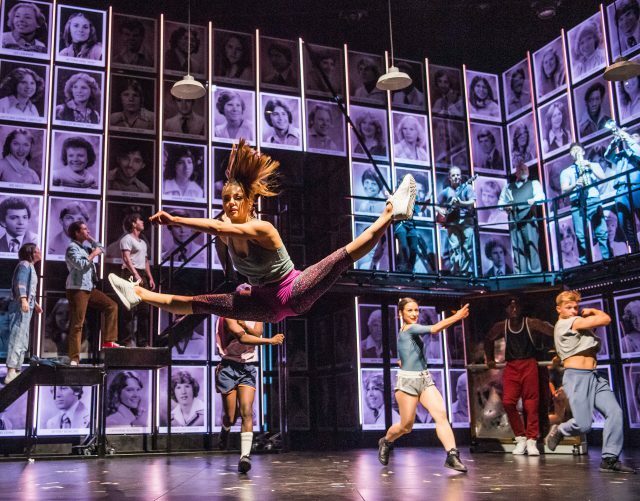 Fame theatre review: Four years in the lives of a group of performing arts students from auditioning for, to graduating from their High School in New York. Cast: Jorge Porter, Jamal Kane Crawford, Keith Jack, Molly McGuire, Stephanie Rojas, Albey Brookes, Hayley Johnston, Simon Anthony, Alexander Zane, Louisa Beadel, Mica Paris, Katie Warsop, Cameron Johnson, Duncan Smith. For over thirty years Fame has been a firm favourite and familiar stage show, its title tune sung by countless young and older people alike, but still this current production brings a freshness and vibrancy to its enthusiastic and demanding audience that proves yet again how timeless it really is. Whether in the 1980s or the 2020s, insecurities, passions and thought provoking social issues abound in the lives of young people and this stage show successfully addresses them all, through its music, drama and dance, all of which is so passionately delivered. With so many highly talented and charismatic people starring in this production, it would be wrong to highlight just a few – credit must go to the casting directors – each performer working to their strengths with such conviction. The musical accompaniment to the whole show was not only highly accomplished but visually enhancing, bringing even more emotion and vigour to the stage. Throughout, the audience were completely engaged with the show and one felt the mood of the audience change as the show swung from high drama, electrifying dancing, the pathos of ballet, the whole gamut of instrumental and vocal range. This is an unmissable show for all Fame fans, it exceeds all their demands – but for the Fame novice, this is the production to see! Fame: The Musical was reviewed at the New Wimbledon Theatre. It is currently touring across the country.